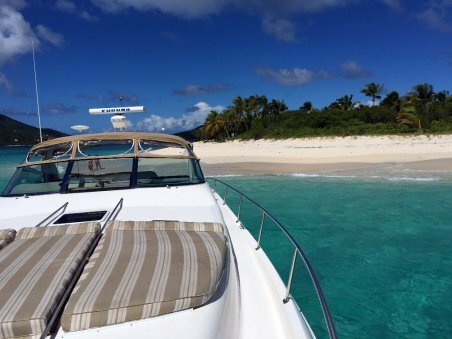 Leave the crowds behind and do a custom excursion on your own private yacht! 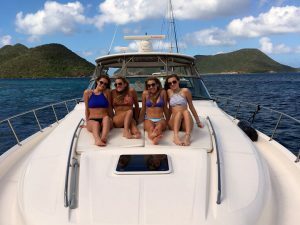 While a cruise ship may have brought you to the island of St. Thomas, your Caribbean vacation truly begins when you get away from the masses and step aboard Take It Easy Custom Charters for a personalized Virgin Islands tour on one of our luxury yachts. 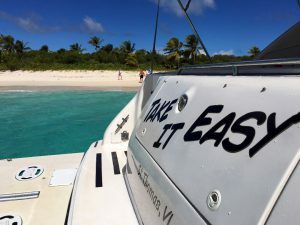 Whether you want to lay back on a secluded beach with powdered soft sand or sip an exotic drink under swaying palm trees or snorkel amongst beautiful coral reefs, get away from the cruise ship crowds and have a fantastic day on the water with Take It Easy Custom Charters! 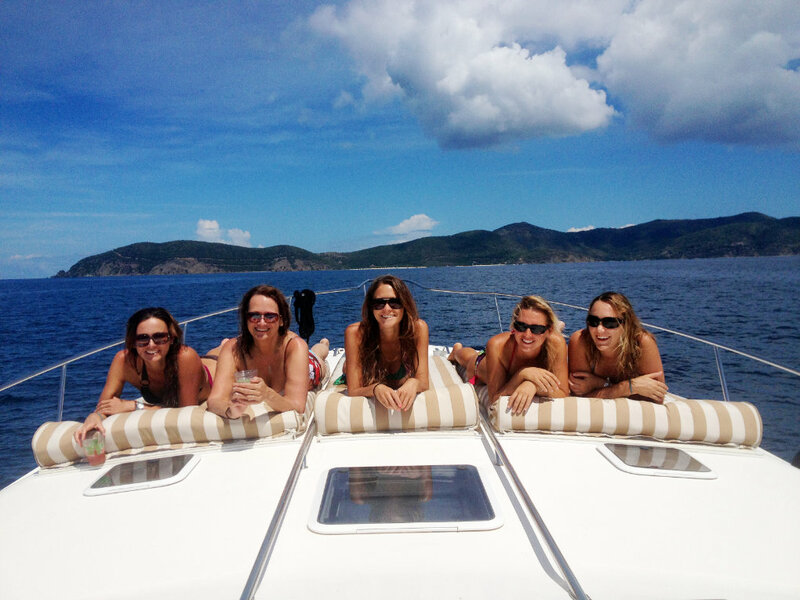 Looking for an Unforgettable Experience Compared to Expensive Cruise Ship Shore Excursions? Here’s the truth about purchasing cruise ship shore excursions. Cruisers have an opportunity to purchase shore excursions through “deals” cruise lines have made with excursion companies, tour providers and attractions. 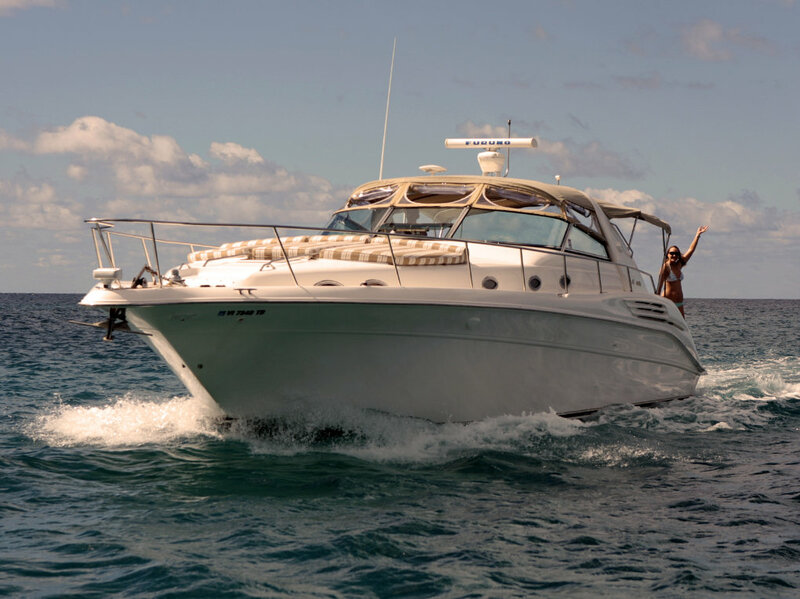 With three times service markup on each excursion, it’s no wonder they are becoming price prohibitive, especially for a family or group. But cruisers end up paying it because who wants to feel they sacrificed fun just because of money? Cruisers are misguided thinking that the quality of the shore excursion is automatically high because it was booked through the cruise line. Incorrect. 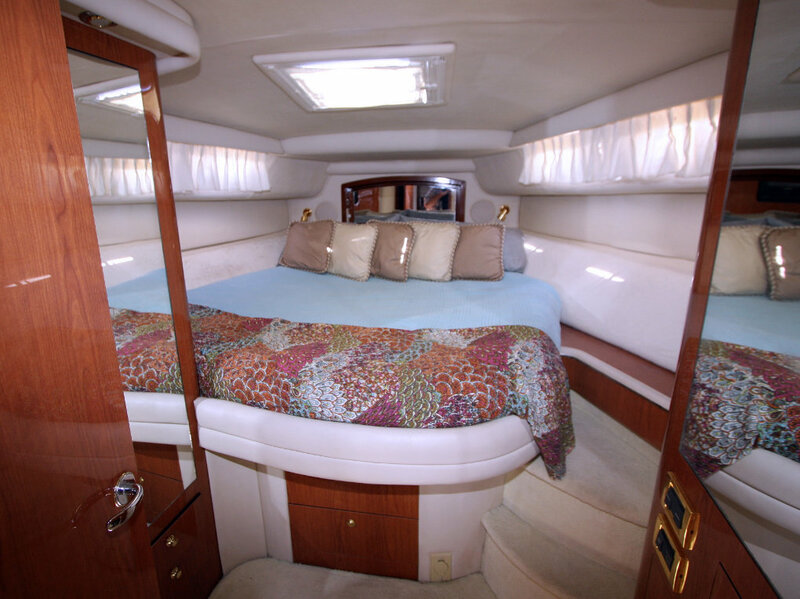 The cruise line only books the trip and pockets the markup. They are not responsible for the shore excursion quality of service. Many of the world’s largest cruise ships (with thousands of passengers each) stop at Port St. Thomas, Virgin Islands. Cruise lines such as Carnival, Celebrity, Costa, Disney, Holland American, MSC Cruises, NCL Norwegian, Princess and Royal Caribbean make it their number one cruise ship destination. 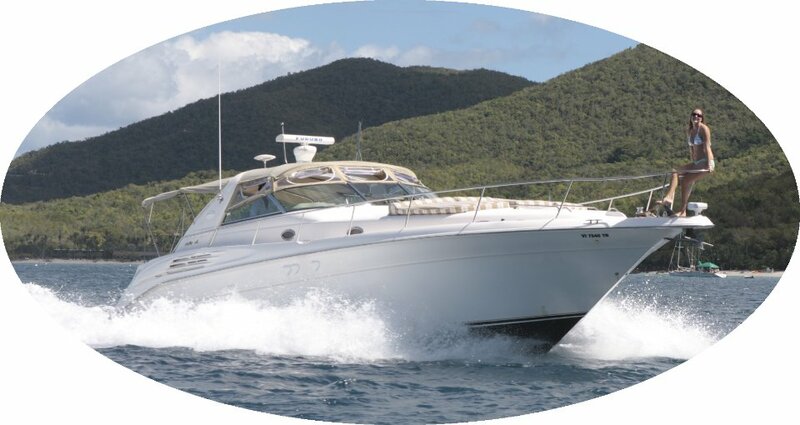 While we are happy they stop here, the same excursions are sold by many of the cruise lines. 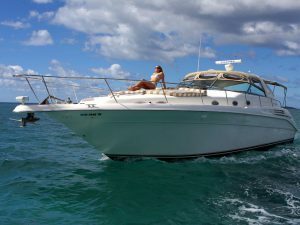 And, they use urgency to have you purchase excursions months in advance of the cruise date before the most popular excursions “sell out”. With massive ships docked at the same time unloading thousands of passengers with pre-sold shore excursions, you could find yourself among the throngs of fellow cruisers packed onto busses going from attraction to attraction. What kind of vacation is that? Make your outing on St. Thomas an enchanting, memorable holiday by visiting the real Virgin Islands with pristine white sandy beaches, exotic beach bars and stunning VI destinations. 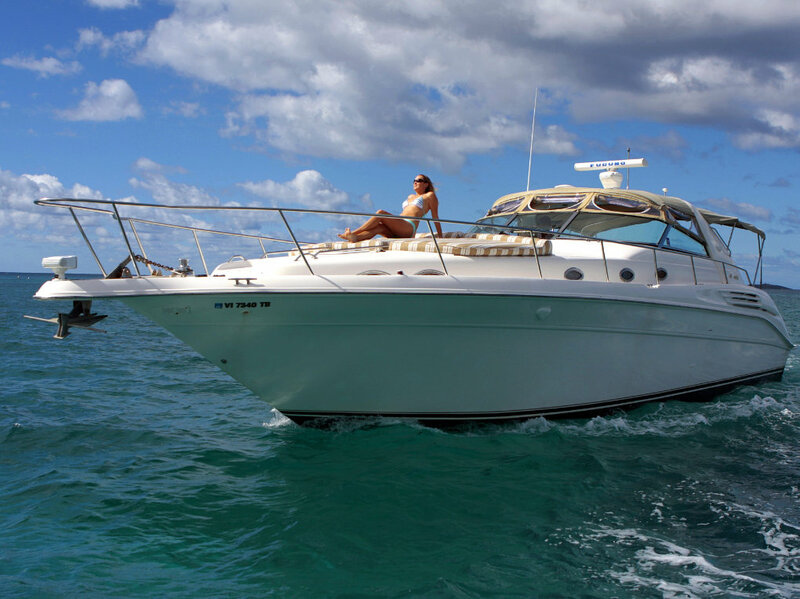 Snorkel with sea turtles and exotic fish among beautiful coral reefs. 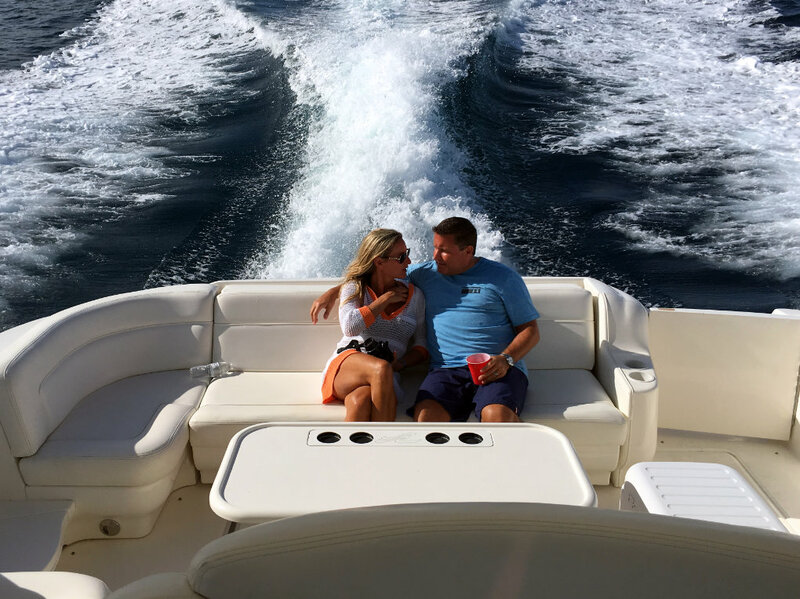 We invite you to take a luxurious, powerboat cruise on one of our Sea Ray Express Cruisers. 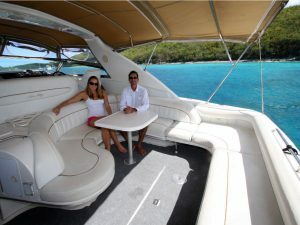 Have an incredible day cruising one of our pure lavish yachts –the 50’ LOA Take It Easy or the 52’ LOA Take It Easy 2. 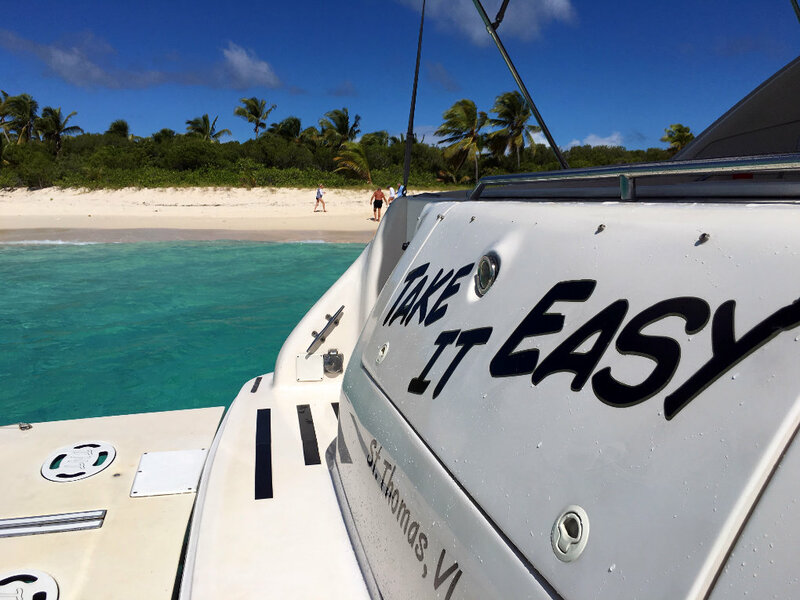 In fact, you can even tour the islands on a famous yacht previously owned by music superstar Kenny Chesney and featured in his videos – our 50’ LOA Take It Easy. We’ve got his songs ready to play on our state-of-the-art sound system and can take you to the Caribbean hangouts he sings about in his songs. 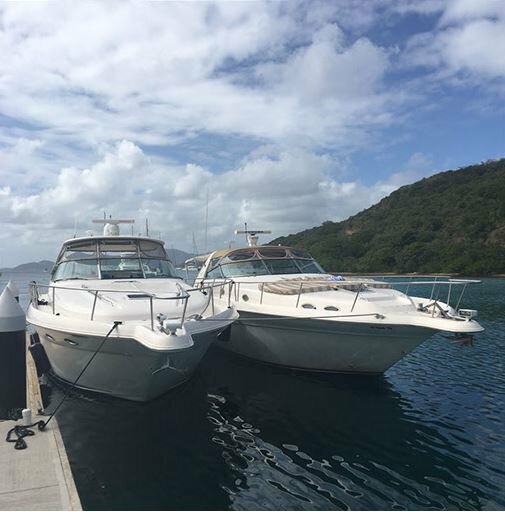 Both Sea Ray Express Cruisers have fantastic amenities for the perfect boat charter experience in the Virgin Islands. 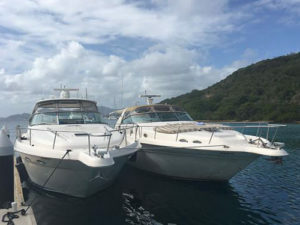 Designed with comfort in mind, these spacious yachts have a large swim-step for easy access in or out of the water, an on-deck fresh water shower system for showering off after swimming in the Caribbean, a large outdoor cockpit for lounging and dining and three large cushioned sun-pads for relaxing and watching the tropical islands go by. 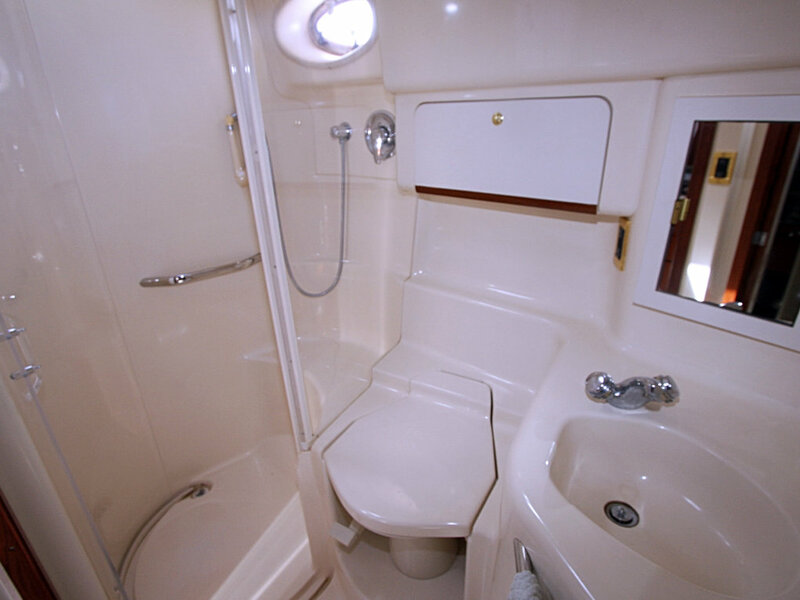 The vessels are long and wide, creating a smooth, comfortable ride. As you walk through the cockpit down the companion way, you’ll discover the spacious interior, decorated with elegant wood finishes. 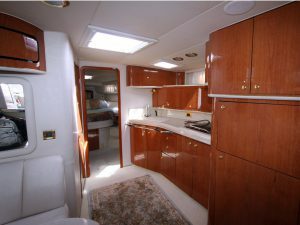 Take It Easy and Take It Easy 2 each have two staterooms and two large bathrooms with full showers, as well as a comfortably sized refrigerator and freezer combo. 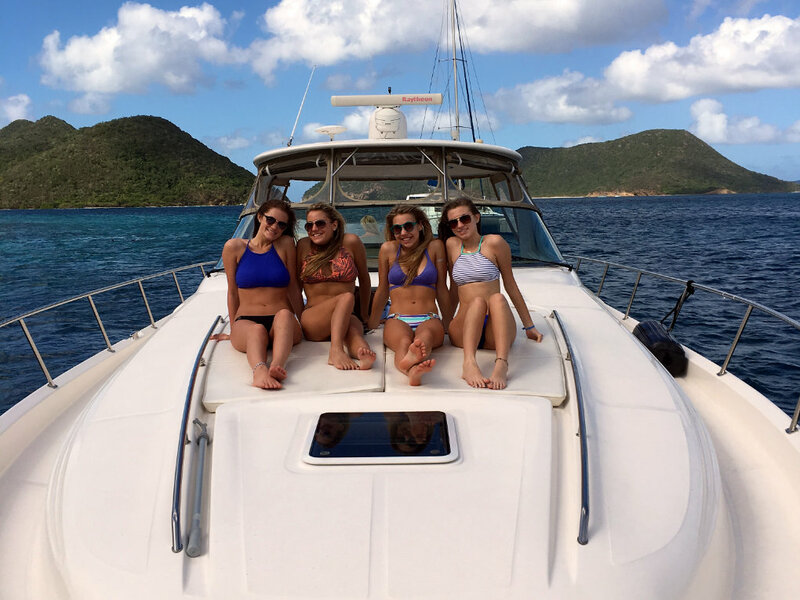 They are truly the ideal, personal yacht charters for hosting up to 12 people in and around St. Thomas in the Virgin Islands! 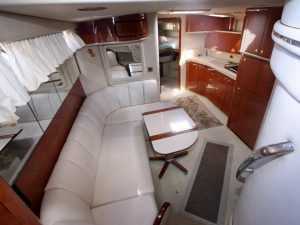 Learn more about the well-appointed features and plush amenities that await aboard our luxurious Virgin Island Yachts. Want to swim with the sea turtles? You can do that. 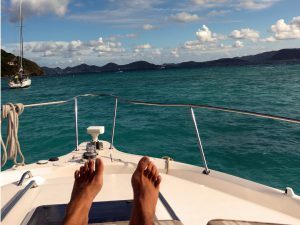 Want to explore St. John by water? 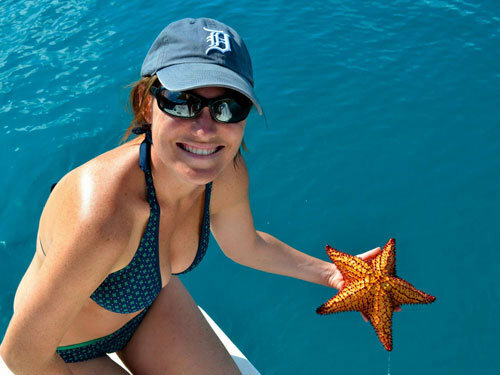 We provide snorkeling gear, life vests and noodles for taking in more breathtaking marine life. 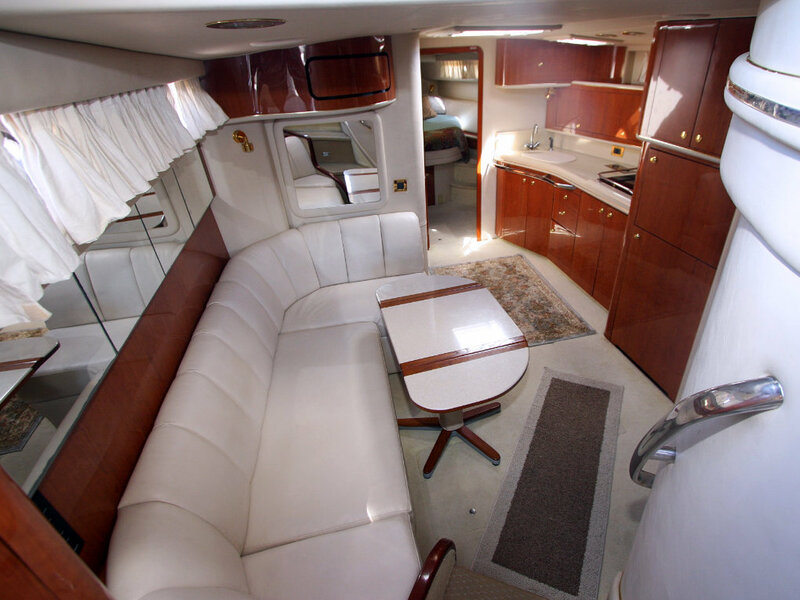 We furnish a stocked bar, beer, water, soft drinks and snacks to complement a wonderful day.